Ready to launch: Balloon Fiesta 2015 | Oh, the Places We See . 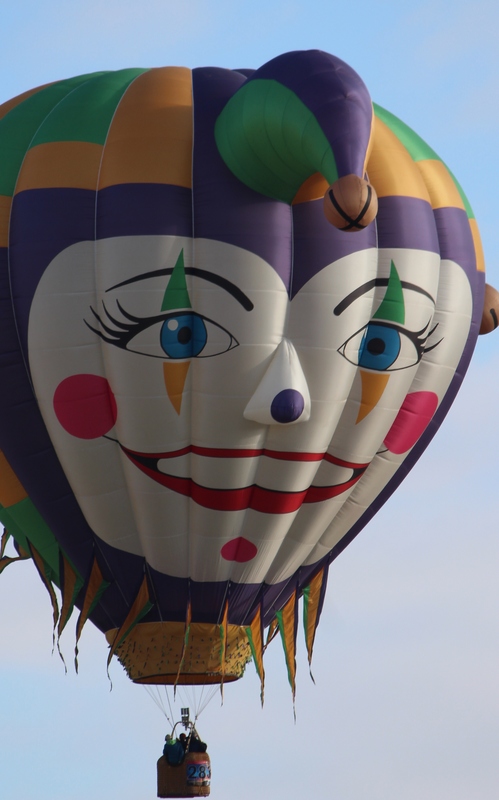 . .
Here’s looking at you, Balloon Fiesta 2015! We’re ready to launch! With only a few days remaining before Balloon Fiesta 2015 officially begins on October 3rd, we’re launching a series of posts based upon our experiences at the 2014 event. 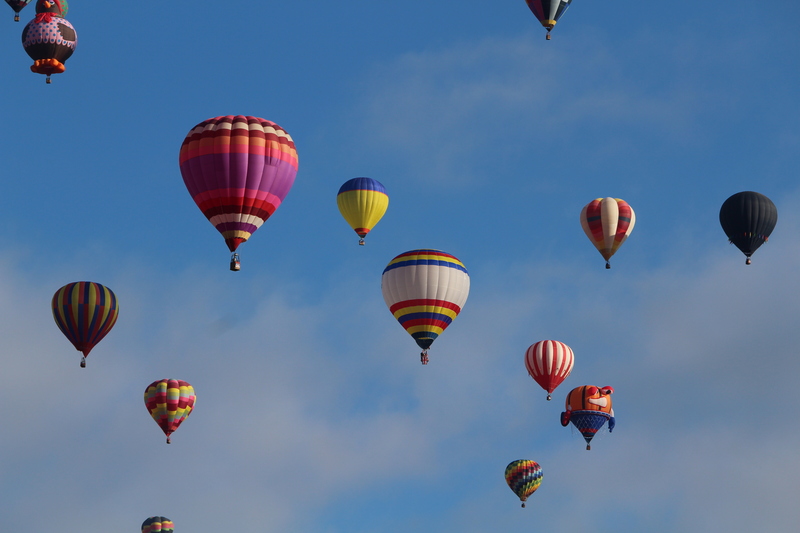 Spanning the days of October 3 to 11, Balloon Fiesta 2015 promises more color, more variety, more excitement . . . well, more of everything. But even if you can’t make it to Albuquerque, New Mexico, we hope you’ll enjoy taking a look back with us and reading more of what makes this event one of our all-time special travel memories. So, come along with us in the next few days as a prequel to one of New Mexico’s finest events. There’s definitely a lot to see! 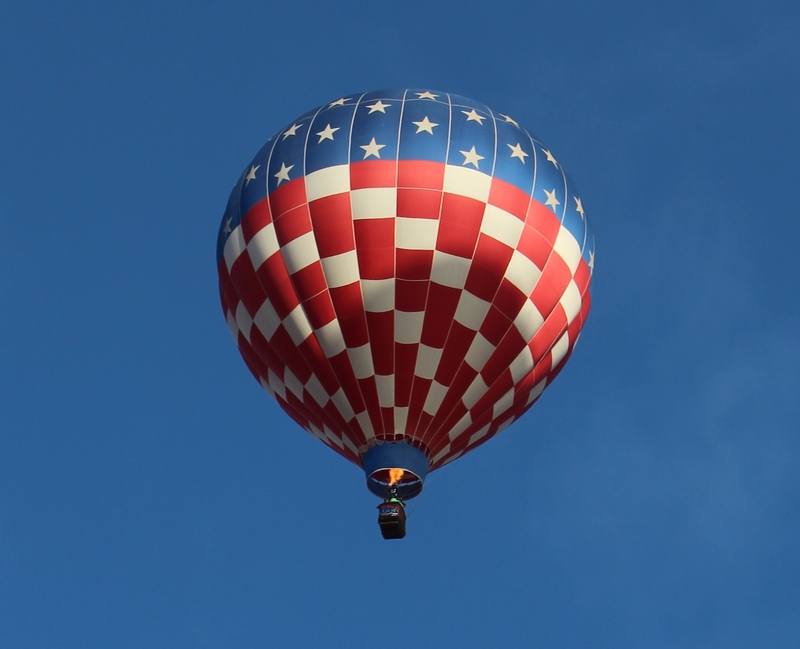 This entry was posted in Festivals, New Mexico and tagged Albuquerque, Balloon Fiesta 2014, balloons, New Mexico. Bookmark the permalink. These photographs are very nice, although I must admit the first balloon scares me a little for some reason. You know, you may be right. Clowns and jesters scare me a little, too. These balloons do loom large on the field, and you’re staring at these giant eyes! Thanks for taking a look. Come back to the series. Hopefully, you won’t be frightened away! I like balloons generally! I’ve also heard they look beautiful when lit up at night, although I’ve never seen that myself. Anyway, I’ll come back and look at the others, but if there are more clowns, I might look from behind the couch. One day I’ve got to see this in person. :). It’s truly a wonderful event. I’d love to go again. And maybe even take pictures from a place other than the field. So much to see here!!! Oh, Amy. Packed is an understatement. But Albuquerque does a great job with traffic and parking. Hope to share some pics so you can see just how popular an event this is. Always an amazing time. Last year I went to the one in Queensbury, NY. The specialty balloons are my favorite. Darth Vader was in NY. One of only a handful of U.S. appearances. Looking forward to more! So glad to hear of other events like this one. We’ve only been to one!!!! But Darth Vader was there in all his glory!! Glad you’ll help us relive the journey. I totally understand your hubby’s perspective. It wasn’t on our bucket lists either. But a job opportunity came up to train teachers in an Albuquerque school. And what a gift that the training occurred at the same time as Balloon Fiesta. Now, I’m trying to find a way to go back!! Also, we went two afternoons only to be turned away — high winds, no launch! The mornings, however, were glorious!